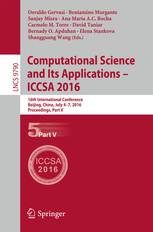 The 16th International Conference on Computational Science and Applications (ICCSA 2016) has been held on July 4 - 7, 2016 at the Beijing University of Posts and Telecommunications, Beijing, China. ICCSA 2016 was the next event in a series of highly successful International Conferences on Computational Science and Its Applications (ICCSA), previously held in Banff, Canada (2015), Guimaraes, Portugal (2014), Ho Chi Minh City, Vietnam (2013), Salvador de Bahia, Brazil (2012), Santander, Spain (2011), Fukuoka, Japan (2010), Suwon, Korea (2009), Perugia, Italy (2008), Kuala Lumpur, Malaysia (2007), Glasgow, UK (2006), Singapore (2005), Assisi, Italy (2004), Montreal, Canada (2003), and (as ICCS) in Amsterdam, The Netherlands (2002) and San Francisco, USA (2001). 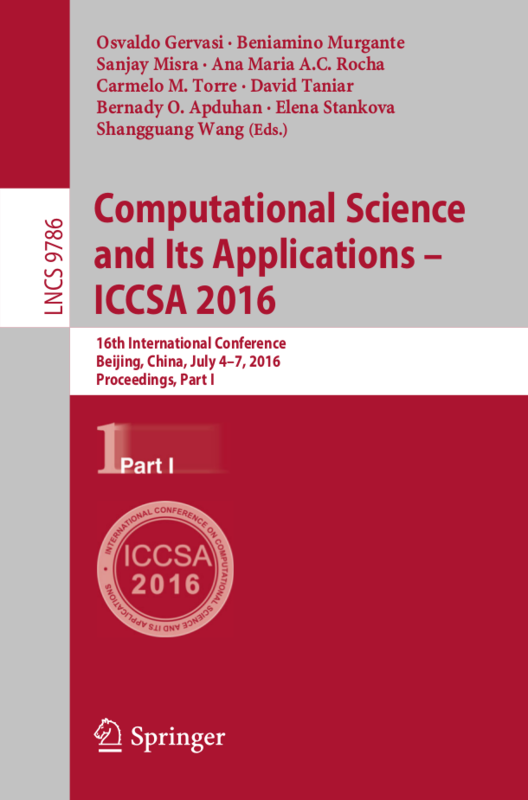 The first ICCSA conference was co-organized by C.J.K. Tan (UK) and M. Gavrilova (U of Calgary, Canada) in 2003.